These photos show what happens around the canal when it rains. However, this situation is not hopeless! 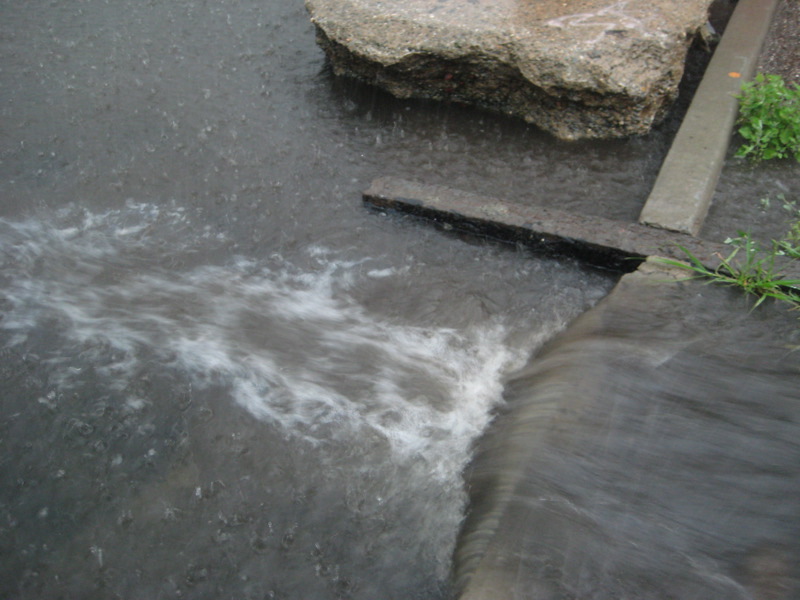 Incorporating storm water best management practices (pocket wetlands, street trees, porous pavement, swales, rain barrels) around the canal will tremendously reduce the amount of runoff and raw sewage that enters the canal every time it rains. Our city agencies (including the Department of Environmental Protection) are studying the area and making plans to reduce the amount of combined sewer outfall events. 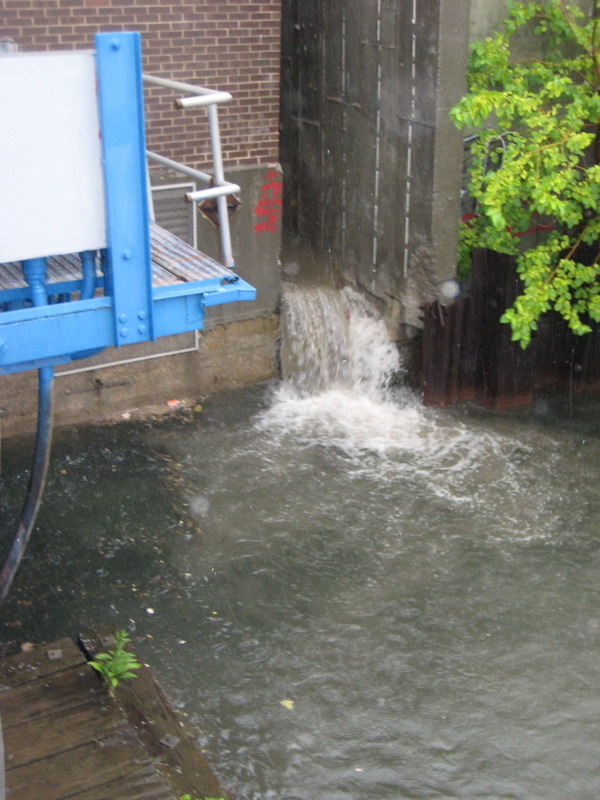 The photo below shows water flowing directly into the canal from the end of a Gowanus Street. Of course, if the situation is bad enough water can also flow from the canal into the streets, creating an entirely different set of issues. It's all especially fascinating given the push to build luxury condos in the neighborhood.